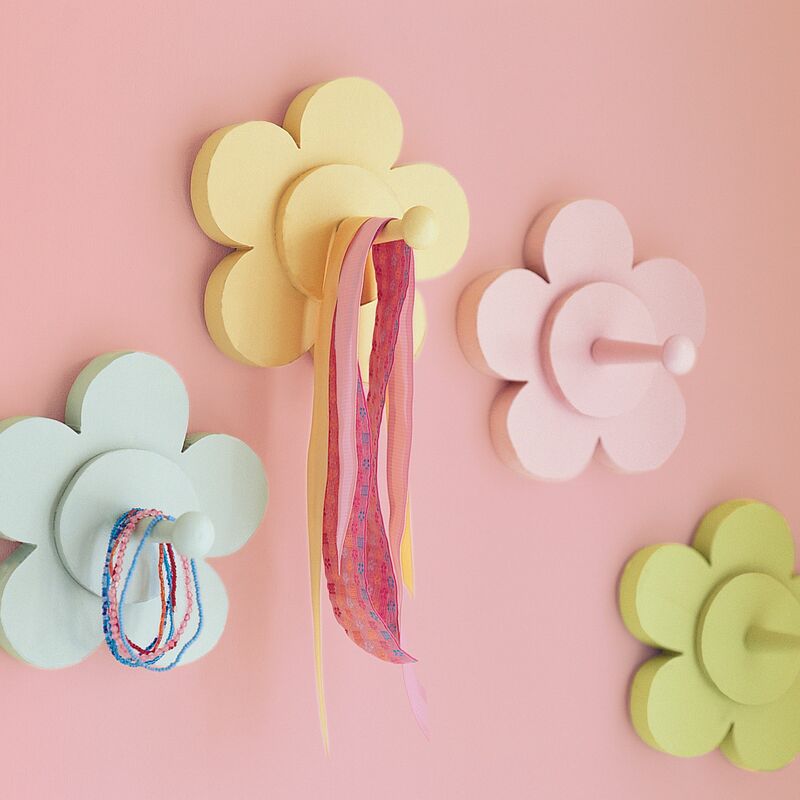 Check out this Land of Nod Wall peg for kids rooms! It’s so cute, but most importantly, so easy to knock off… All it is is a piece of wood cut in the shape of a flower, with another round piece of wood and a peg stuck in the middle. In fact, I have all the parts I need for htis project, and I don’t have to buy anything. I will tuck this project away for the future. Why don’t you try it and show your pictures here? When I (finally!) make it, I will post instructions.